This waterfall is formed when the "Caraño" river falls in a vertical drop of approximately 50 meters in height. It is very difficult to reach the base of the waterfall since the vertical rock walls are very smooth because of the large amount of seaweeds that are there. Little by little the water flows and forms natural pools. This area is rich in biodiversity. Here it is possible to observe several species of butterflies and orchids. 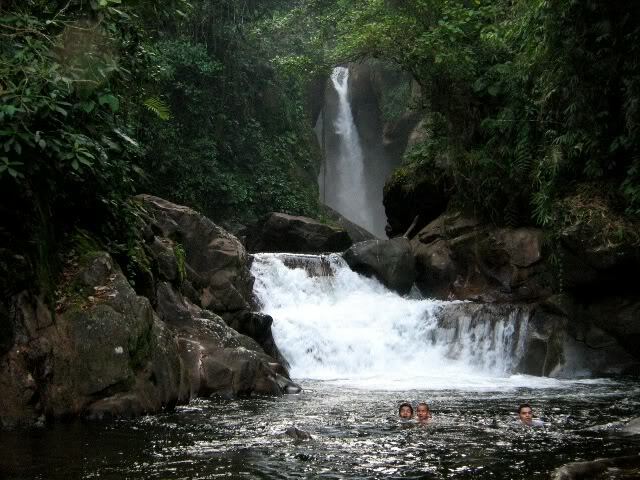 The Caraño river waterfall is 700 meters above sea level, and has an average temperature of 20 ° C.